Flags are at half-mast in Kyrgyzstan in memory of those killed when a cargo plane crashed earlier in the week. 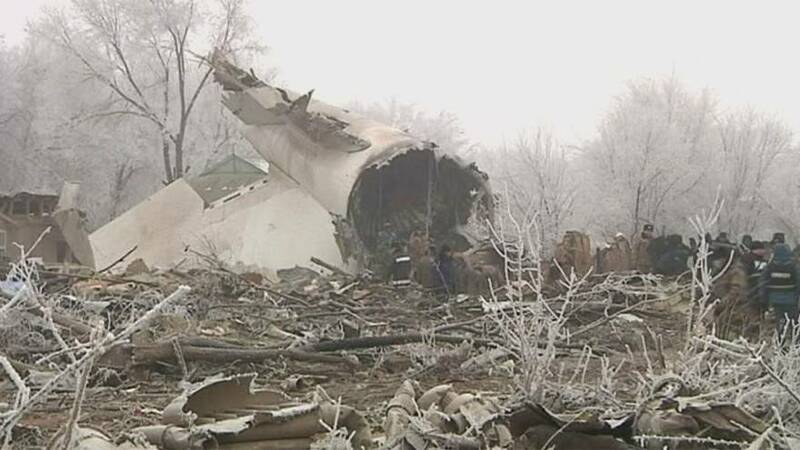 Four crew members and 34 local residents died when the aircraft came down on a village near the capital, Bishkek. Officials say the plane was on a stopover from Hong Kong to Istanbul when it crashed in poor visibility.